KC Hovercam – making sports videos great again! KC Hovercam was proud to be selected to film the 2016 Waddell and Reed Kansas City Marathon held on October 15th in Kansas City, Missouri. 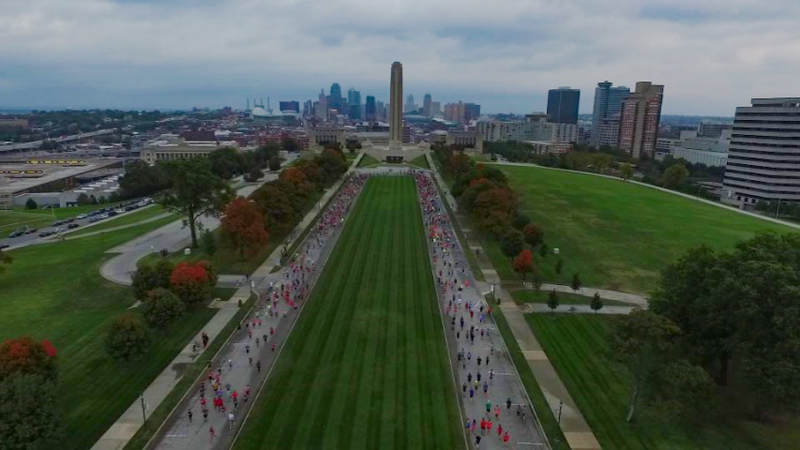 The marathon, produced by the Kansas City Sports Authority and Commission, had over 8,000 participants. 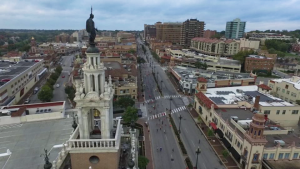 Enjoy the short 3 minute video that showcases a few of the highlights – the aerial views are amazing! 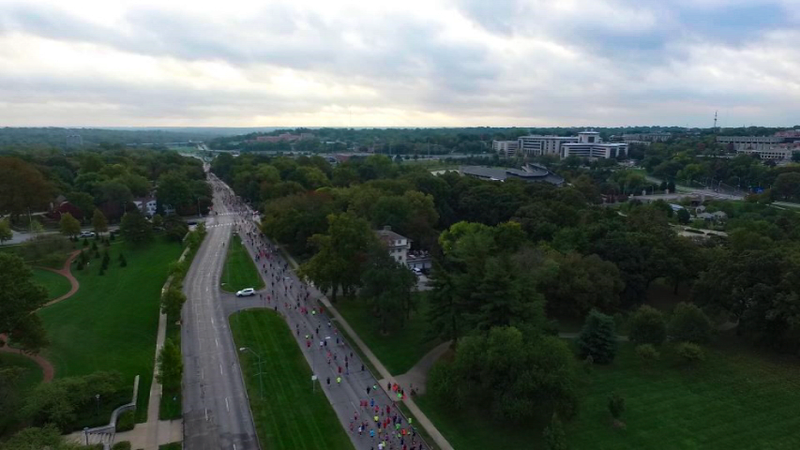 The races included full and half marathon, 5k, relay, and a kid’s marathon. 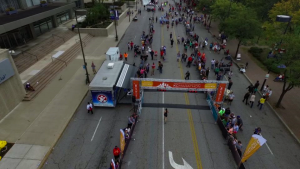 From the Start and End at Crown Center, the marathon course went by many famous Kansas City landmarks including Liberty Memorial, the Nelson Art Gallery, the Country Club Plaza, Loose Park, Troost Lake, 18th and Vine and others. 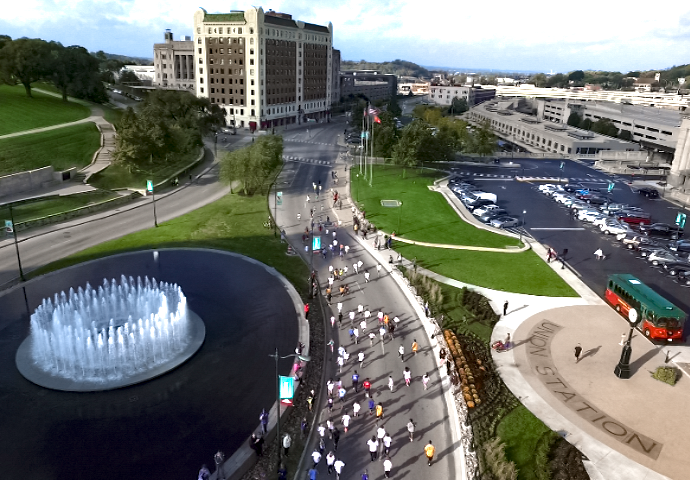 It also featured a children’s marathon which started at Crown Center and traveled in front of the Union Station. 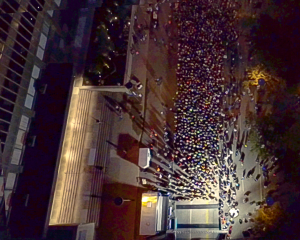 The start of the marathon at Crown Center early in the morning. 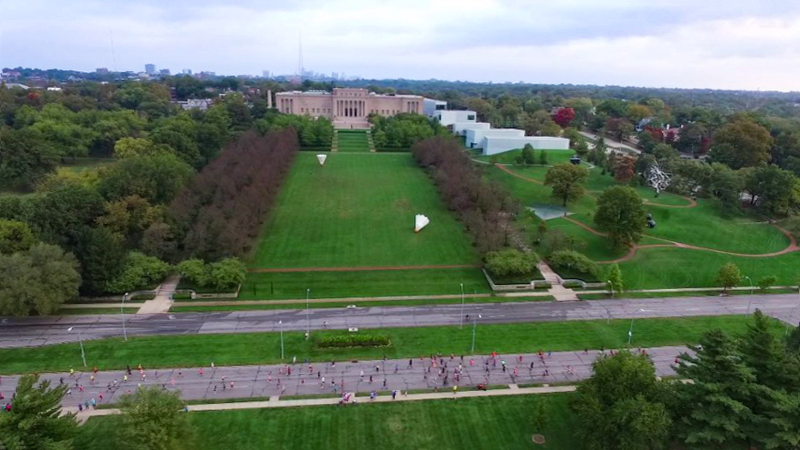 Runners in front of the Nelson Atkins Art Gallery with the famous giant shuttlecocks on the front lawn. 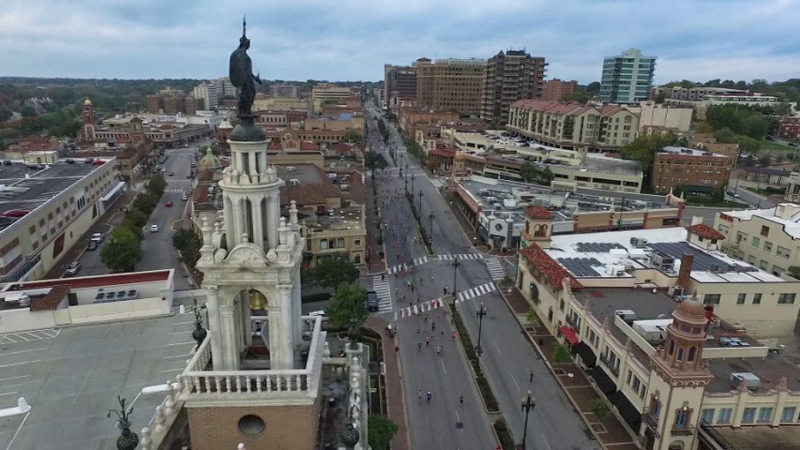 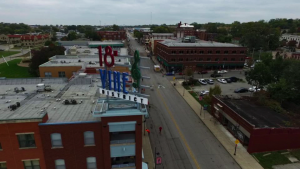 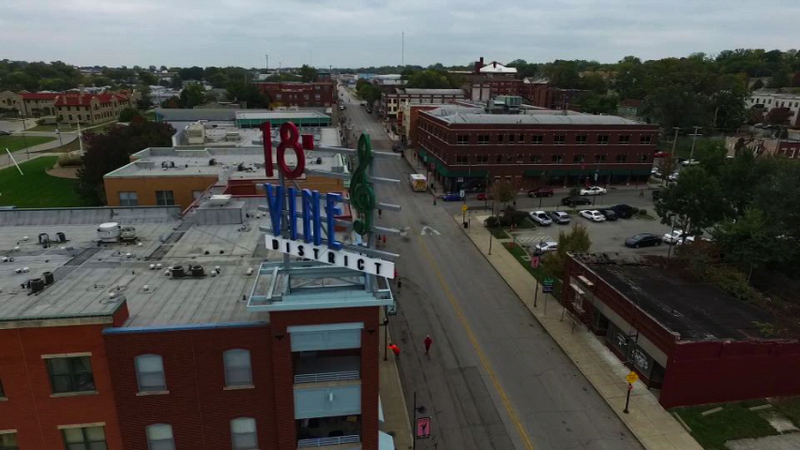 The runners made their way past the historic Jazz district at 18th and Vine. 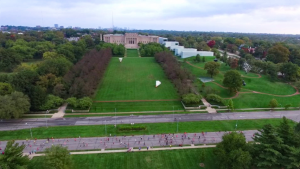 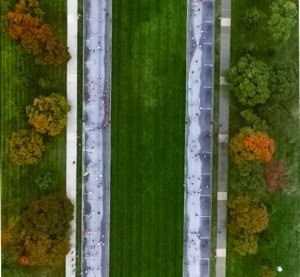 Runners in front of the Liberty Memorial / World War I National Museum. 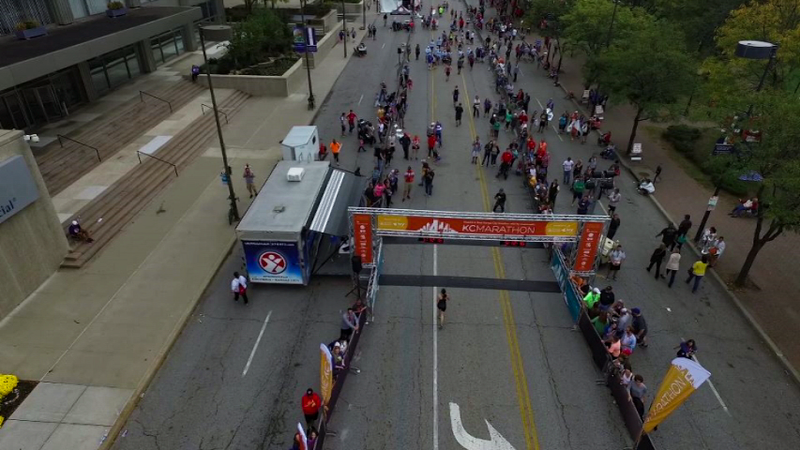 Runner crossing the finish line at the end of the 2016 Kansas City Marathon.